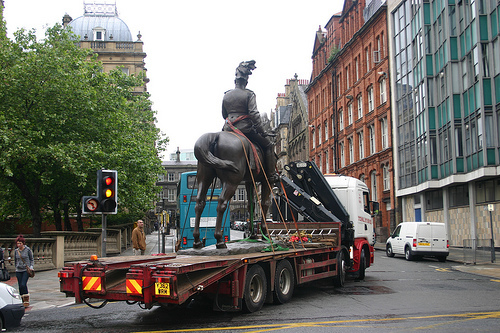 Some photos a giant bronze statue of Edward VII on its way to the National Conservation Centre. 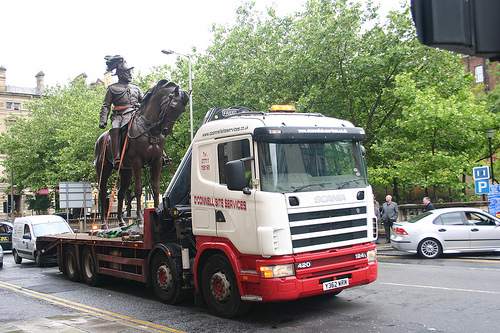 Wouldn’t it be an idea to make more public monuments mobile? 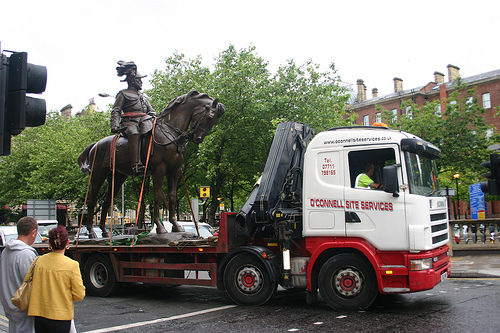 A fleet of Henry Moores circling the M25 for example, or complex choreography of military generals performed by flat-bed trucks in the traffic system of Milton Keynes?